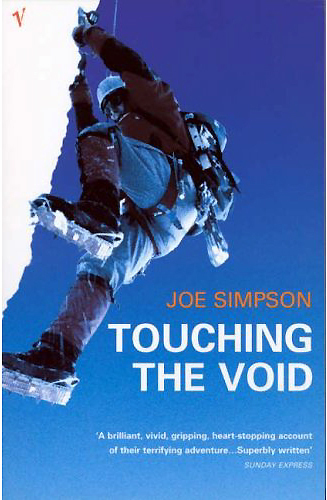 Joe Simpson presents a gripping tale of adventure on the very edge of survival. This story has become one of the all-time classic epics of mountaineering and the book has reached far beyond the world of climbers. It is an inspirational story of humanity in the extreme. Mixing humour and drama, Joe tells of his experiences in the Peruvian Andes with total honesty and lets the intense excitement of the story grip the reader.